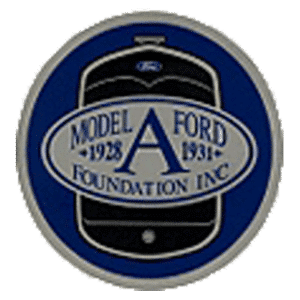 Electrical Trouble Shooting - Model A Garage, Inc.
First off, let me introduce you to some common electrical terms: Volts, Amperes (amps), Ohms, and Watts. These terms are not as mysterious as you may think, to understand them easily, just compare an electrical circuit, to a compressed air system. Just as air is pushed around in a compressed air system, an electrical system, it is electrons which are pushed around to do the work. Volts: This term is a measure of the “electrical force or pressure” in a circuit, and is the equivalent of the tank pressure on a compressed air system. It represents the “push” behind the electrons. Higher voltages require more insulation (hose thickness) to contain it. Multi-meters will have selections for measuring DC voltages, and sometimes AC voltages as well. Amperes: Usually just called “Amps” is a measure of the “volume” of electrons moving in the circuit, and is the equivalent of the CFM in the compressed air system. Higher currents require bigger diameter wire (bigger diameter hose) to carry it. Simple, EH? Let me explain, “E” represents the Voltage in the circuit, “I” represents the Current in Amperes, and “R” represents the resistance in Ohms. If you connect a device with 3 Ohms of resistance into a six volts circuit, you will get two amperes of current flowing. The total power used is “P”, and it is equal to the Voltage “E” multiplied by the current “I” in amperes. You can also see by this that the higher the voltage in the circuit, the less current it takes to do the same work, just as in our air system, where a tiny amount of air at high pressure can do the same amount of work as a large quantity of air at low pressure. A quick little aside here is that you should not confuse “Power” and “Energy”. The energy used by a device is the amount of Power that it requires multiplied by how long it is used, and is represented by “Watt-hours” and the larger “Kilowatt-hours”. A 100 Watt bulb, left on for 10 hours uses 1 Kilowatt-hour of energy, and makes the meter on your house go up by “1”. Your car’s battery stores a certain number of watt-hours of energy (and varies by manufacturer). If you connect a certain load to the battery, it will run that load for “Battery capacity divided by “size of load”. For most of us, this is something that you will never have to concern yourself with on your car. Now what does all this mean in the real world when we work on our cars? It’s very simple really. To do its job, each device needs a certain amount of power. To get that power, it must receive the full voltage that it was designed for. To do this, the total circuit must have no extra resistance in it that would restrict the current from flowing. In our air system analogy, extra resistance would be equivalent to somebody pulling into your driveway and parking on the air hose that you are using, you just aren’t going to get the full air flow! When I say the total circuit here, I am also including the ground system on the car, the current must be able to return to the battery to complete the job. In our air system analogy, this is equivalent to the air cleaner element on your compressor that you haven’t checked in 15 years! If the air can’t get in, the system won’t work! Other things that can cause trouble, and their air system analogs are: Short circuits, the airline broke, Open circuits, the hose coupler came apart. Now then, how do we find an open circuit? Just compare for a minute with the air system analogy. If the circuit is open, you will have the full voltage at the battery (pressure at the tank), and none at the device (no pressure at the paint gun). If you had an air pressure gauge at every joint in the air system, you could just walk down the line looking at the gauges and tell immediately where the break is. Fortunately, in our electrical system, it is even easier that that! And the reason is that we have the equivalent of a pressure gauge in the form of a voltmeter, and all we have to do is take a reading is to connect one leg of it to ground (our “reference”) and the other leg to the spot in the circuit that we are testing. Simple! We just keep moving the meter lead around the circuit until we find the spot where the voltage disappears. The break will then be between that point and the last point where the voltage was present. Now what about a dirty connection in the circuit that is limiting the current from flowing. You turn on the device which is having the trouble, and measure around the circuit until you find the last spot where you have full voltage, and the next spot where there is full voltage. You repair the problem, and full current flow is restored. Now what about those nasty short circuits? In our air system analogy, we would have air flow sensors throughout the line and by looking at them, we could see that the last meter showing air flow is on an intact part of the system, and the next one showing no flow would be on the other side of the broken line. This could be done on our electrical system also by putting Ammeters throughout the circuit and looking for where the current flow stops. Unfortunately, this is messy to do in practice, and like our air system where the air is gushing out uncontrolled, current flowing uncontrolled in an electrical system can be quite a problem, it can cause things to get mighty hot and perhaps even burst into flames! What to do? Fortunately, there is an easier way, and it is our friend the Ohm-meter. What this device does for us, is it applies a controlled voltage to a device, and by sensing how much current flows, calculates the resistance of the circuit. Our air system analogy of this is to take each piece of the system (with end closed) and disconnected from the air supply, and blow into it until we find the piece which offers no back pressure. Then the break is found! Trouble-shooting the short circuit is the same way. You disconnect the battery, and turn off all the devices, and start measuring the circuit with the ohm-meter in the same way as with the volt-meter, one leg on the ground, and one on the circuit being tested. If the resistance is not extremely high, you start disconnecting parts of the circuit and testing them separately until the culprit is found. I will again emphasize here that these tests are done with the battery disconnected from the circuit. You don’t use an ohm-meter on a live circuit for the same reason that you don’t try to blow back into a fully pressured air tank with the valve open, the battery (air tank) is going to win that battle! Is this all that you need to know to trouble-shoot electrical problems? Pretty close really, the nasty part which tends to trip up most people, especially on cars that are not in “peak shape”, is this: “there is no rule that says there is only one short circuit, or one dirty connection, or any combination!”. Always remember that; just because you found one problem, doesn’t mean you have found the ONLY problem! Fortunately, multiple problems are not any trickier if you go after them using these techniques. You just keep going through the circuit until all of them are found. 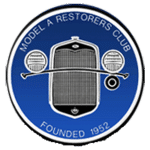 If you have a fuse installed (or better yet a circuit breaker) on your car (if not, go put one on NOW) you can remove the fuse from the holder or turn the circuit breaker off and attach the ammeter leads to the terminals to read current to or from the battery. This is handy for finding items which pull too much or too little current, as well as verifying the accuracy of the ammeter on the vehicle. OK, now what about these “Multi-meter” things, where do I get one and what do I look for? And the most horrible question of all, what is this thing going to cost? These meters can be purchased at many different places. Automotive parts stores such as Track Auto and Pep Boys usually carry them as well as electronic places such as Radio Shack. They can also be found in home repair places such as Loew’s and Home Depot as well as many department type stores such as Sears. They can be found on the internet easily, and if you would like a professional quality model, electrical contractor supply houses would be more than happy to help you out. As to what to look for, they come in two basic styles now, Analog, and Digital. The analog style is the older style, dating back well into the 19th century in design and uses a meter with a moving needle to display the value on one of several scales on the meter. The digital style has a numeric display that tells you the value directly, no need to determine which scale to use or how to interpolate a reading. The analog style takes a little more practice to read, but has the advantage that if the value is changing, you see it as a wandering of the needle instead of numbers changing rapidly. If you can watch a friend use one, you can decide for yourself which style you prefer. As for the feature of the meter itself, you want to look for the following: DC voltage measuring capability up to 50 volts, or more; DC current measuring capability up to 10 amps or more; and resistance (Impedance) measuring capability (the Ohm-meter part). And the scary part? Good news! You can find a multi-meter that will do all these functions for $10 or less! If you want fancy, you can go into the hundreds of dollars, but for trouble-shooting problems on cars, the cheap ones are just fine! And what about the Model A electrical system? And the news just keeps getting better! 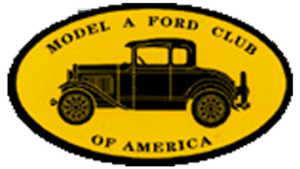 The electrical system on the Model A Ford is quite primitive by today’s standards, and therefore is fairly easy to troubleshoot, in principle. I qualify that “in principle” because even though it is easy to find where a problem is, finding exactly which insulator is cracked or which connection is corroded can sometimes be a real hair ripper! The key is patience and lots of looking, never take it for granted that something is good just because the problem doesn’t jump up and wave a sign at you! Sometimes you will get a bad reading on a part, then open it up, and there is no problem. Short circuits that are caused by parts rubbing together are notorious for this. A part is rubbing, and you take it off and the short is gone. Put the part back and the short re-appears. Sometimes a corroded connection will make contact in one position, and then lose contact when turned to a different position. If in doubt, wiggle them around and see what happens? The Red wire on the coil will be HOT when switch off or points open. It will be ground IF the switch is ON, and the points are closed. It will be HOT if the switch is ON and the points OPEN. The Blue with Yellow tracer wire on the horn will be ground when the horn button is depressed. The Green wire on the tail-lamp will be HOT when the brake pedal is depressed. The Black wire on the tail-lamp will be HOT when the parking or headlamps are ON. The Black with Yellow tracer wires will be HOT when the parking lamps are ON. The Black with Red tracer wires will be HOT when the headlamps are on LOW BEAM. The Black with Green tracer wires will be HOT when the headlamps are on HIGH BEAM. The output terminal on the back of the generator will be HOT when the engine is running and the cutout closes. If the generator is not charging due to low engine speed, there will be less than 7.2 volts there, but there will be voltage present. All wires on the diagram that are not labeled HOT, should have no voltage on them when everything is turned off. When the ignition is on and the car is not running, and the points are open, you should read full battery voltage on the Red coil wire. As the engine is run and heats up, the condenser may start to break down and leak. Check it again when the engine is hot. If the voltage on the Red wire drops, the condenser is probably leaky and should be replaced. With a hot engine, the coil may work fine when cold, and then break down when hot. Unfortunately, you cannot detect this with your multi-meter. Only a coil tester will truly show you if this is the case. A short in the stoplight switch, the wire to the tail light or the light itself, can cause the engine to die (and blow the fuse) when you press the brake pedal, but then not be there when you get out to find the problem. If you remove the Hot wire from the switch, the problem will go away, just remember the hand signals (and the fact that most modern drivers have no clue what they mean anyway!). Headlamps that draw way too much current are sometimes caused by the high and low beam contacts shorting together. The clue here is that there is no visible difference between the two! Very common with reproduction headlamp sockets. Generator cut-out contacts that stick can fry your generator. Make sure that your ammeter shows “0” when the engine is off and all accessories are off (disconnect the battery cable to be sure). Then whenever you turn off the ignition, look to verify that the ammeter went back to zero. If it does not, the fuse may not blow since the current is not enough to blow it. But you can save your generator by simply removing the fuse, and then finding the problem. On some cheap cut-outs, simply removing the fuse “releases” the contacts and then the problem is gone. If yours behaves this way, replace it and save your generator.